The store measures 877 sqm. (9,440 sq.ft.) 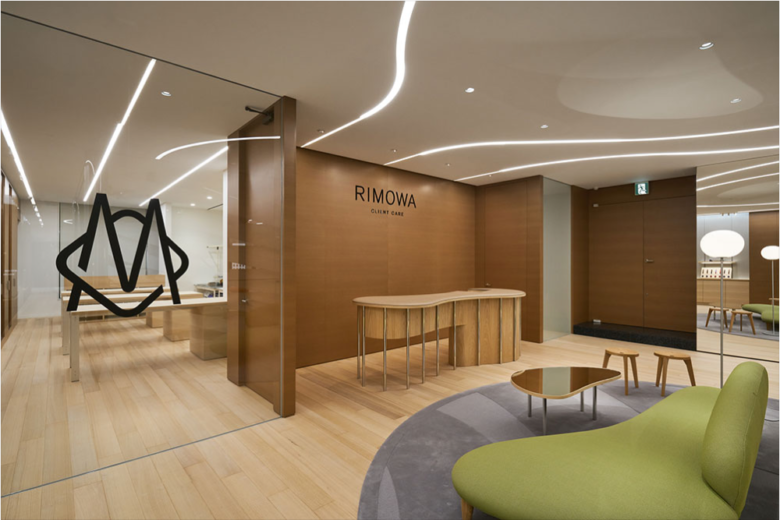 set across two floors of a modern eight-storey building, situated alongside Chuo Dori and just a stone’s throw away from Ginza Six mall. 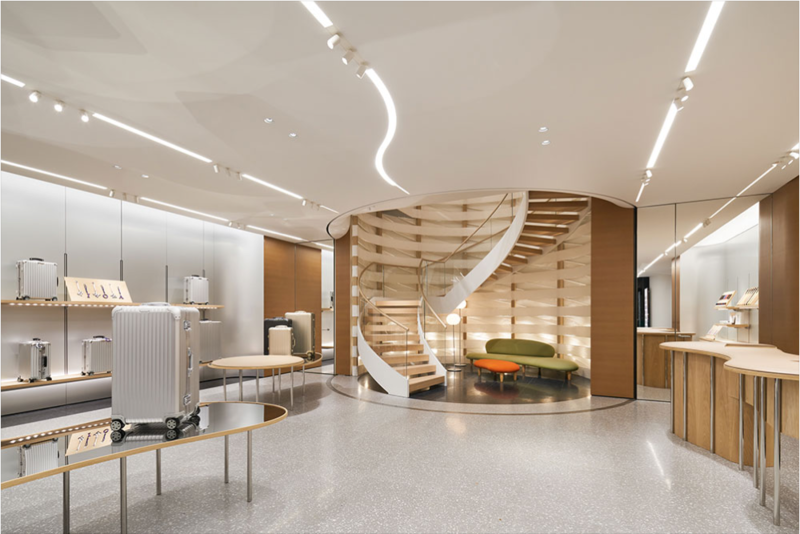 The interior design is understated and subtly embeds references to traditional Japanese culture and craftsmanship, such as the use of wood, and most notably, the spiral staircase and displays that feature a backdrop inspired by basket weaving. 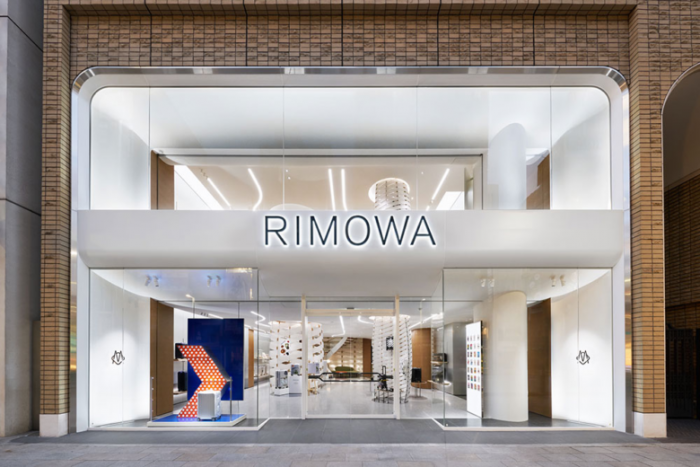 The ground floor presents Rimowa‘s aluminium range of suitcases on shelving and displays, and one floor up, additional items and products from the polycarbonate range and accessories are showcased. The second floor is also home to a service counter and full-fledged repair service.